In Restless Wonder: Forgotten Treasures. Spring cleaning. The concept either fills you with dread or with a sense of excitement over making way for more space. Or if you're like me, rediscovering new items I’d neglected over the winter months. With spring just around the corner, I thought now was the perfect time to get rid of some unwanted clutter and give some forgotten treasures a new lease of life. 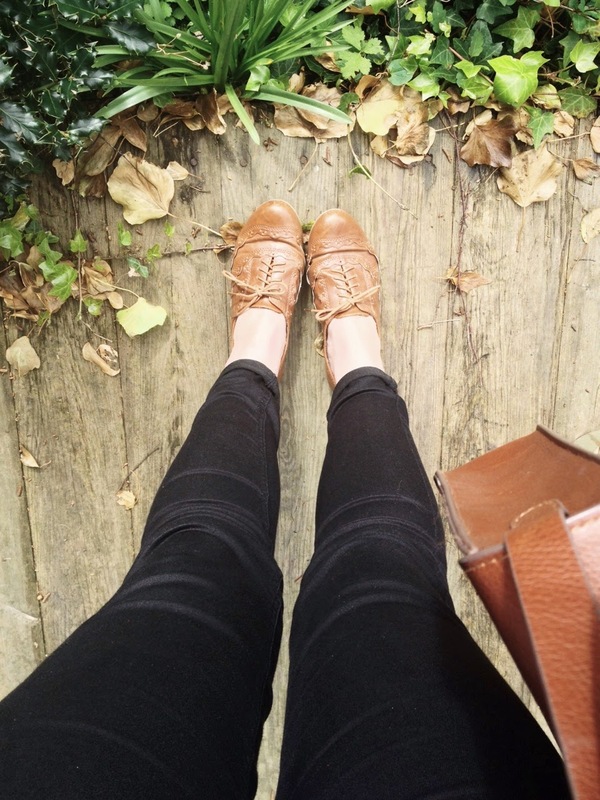 I couldn't believe I’d had these beautiful brogues in the dark for so long! They’re the perfect companion for a floral dress or, like pictured, with ankle length skinny jeans and a shirt (I paired mine with a button down blue denim number and tan satchel). Sifting through an old jewellery box, I also found a choker-length necklace made with black cord and silver squared beads that spelt out my name, no doubt a keeper from my early years in the 90s that I’m determined to find some quirky use for! What's the best 'find' you've ever rediscovered whilst spring cleaning? Quinoa and Ground Almond Crumble: RECIPE. Arcade Flowers Showcase - Framptons, Ringwood.